Looks a little like half a motorcycle. The soon to be available RYNO is a unique-looking, motorized personal transportation vehicle. 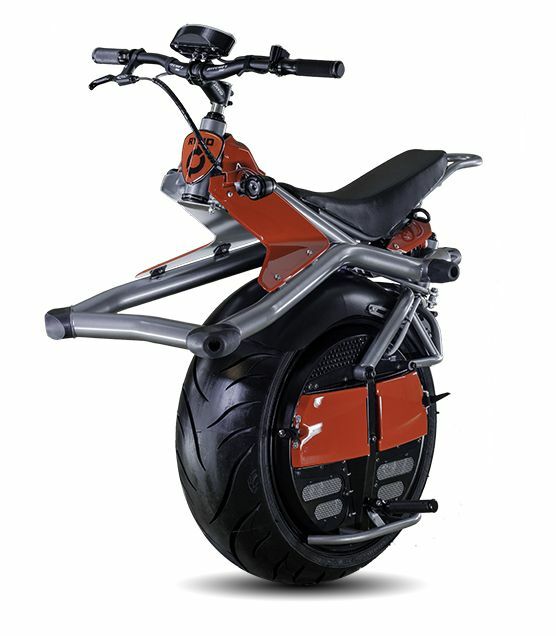 This one-wheeled, electric-powered machine works similarly to a Segway – lean forward to accelerate and lean back to slow down. It can reach speeds of up to 10 miles per hour and can travel 10 miles when fully charged. Since this is so new and unique, the company is working with authorities to determine where RYNO can be used – they’re thinking sidewalks, bike lanes or anyplace pedestrians can go. Turn some heads with RYNO!